As of October 17th medical marijuana becomes legal in Canada, but what are an optometrists’ responsibilities? Optometrists are not allowed to prescribe any oral medication, they are only allowed to prescribe topical medications such as eye drops or ointments. Now based on this statement, if you’ve assumed that our optometrist will not be able to give you a prescription for medicinal marijuana, you have assumed CORRECT! If you still feel like taking a chance and asking, we encourage you to do so but unfortunately the answer will still be no. Marijuana has not been studied enough for medical uses in the eyes. Now that it is becoming legal it will be much easier for studies to be performed, so who knows, in the future optometrists may be prescribing it? If you were to look up these words on google, there would be many sites telling you that yes using marijuana will help your glaucoma. Now we won’t argue with the premise that it does lower your eye pressure therefore reducing your risk for further damage to your optic nerve. However, it will only lower your eye pressure for a short period of time and wouldn’t be as consistent as the conventional eye drops currently prescribed for lowering eye pressure. 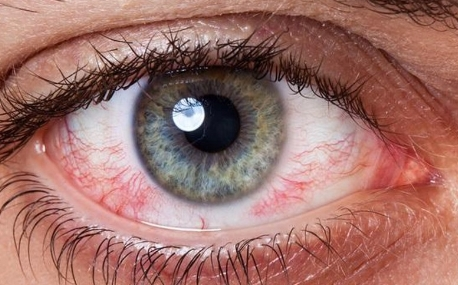 Just as with alcohol, marijuana also has some of the same side effects including dry and bloodshot eyes. We recommend using some moisturizing eye drops. We do not recommend “get the red out” drops such as Visine or Clear Eyes because they have an ingredient in them that will make your eyes look less red temporarily but will make your eyes more dry in the long run. This is because the ingredient in these drops are designed to constrict blood vessels that supply the eye with oxygen. We hope this answers at least some questions you may have about our role in the legalization of medical marijuana in Canada. Feel free to come visit us if you have any further questions. Back to School Eye Exams!